Is the release of Google's new open source encoder big news for photographers? The tech giant has excitedly announced Guetzli (meaning "cookie" in Swiss German), a new open source algorithm that will encode high-quality JPEG images much smaller than ever before. They claim a 35 percent reduction in file size, which would have huge implications for us photographers with image-heavy websites. The effects would allow pages to load faster and use even less data. That's good news all around! How Google has managed this feat is explained in complex detail over on their press release, but the general concept is that the algorithm reduces large amounts of disordered data, which is hard to compress, and puts it into ordered data, which is very easy to compress. 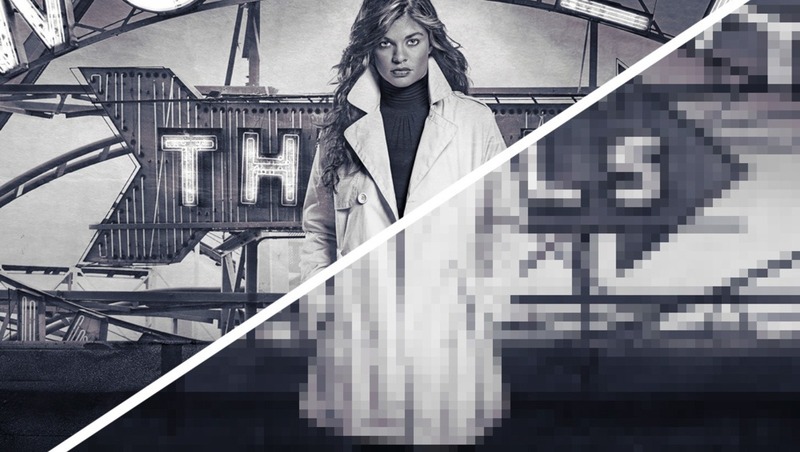 There is also a degree of blurring of pixels that are close in appearance. This also helps shave down the size without any visible effects to the structure of the image. As you can see in the sample images provided by Google, Guetzli does perform marginally better than what is already out there. Figure 1: 16x16 pixel synthetic example of a telephone line hanging against a blue sky, traditionally a case where JPEG compression algorithms suffer from artifacts. Uncompressed original is on the left. Guetzli (on the right) shows less ringing artifacts than libjpeg (middle) with a smaller size. Figure 2: 20x24 pixel zoomed areas from a picture of a cat’s eye. Uncompressed original on the left. Guetzli (on the right) shows less ringing artifacts than libjpeg (middle) without requiring a larger file size. There is just one snag with these developments, and that comes with speed of compression. By their own admission, Google believes the slower compression is a worthy tradeoff. Do I think Guetzli will replace your compression workflow anytime soon? Right now, I'd probably say no. 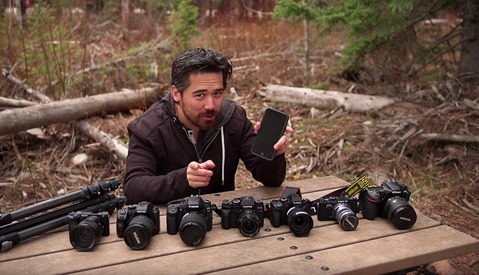 Is this development good news for photographers? I'd definitely say it is. Guetzli will inspire further image and video compression research as the world constantly strives to improve on data speeds across the Internet. I'm sure the mobile phone industry will also help accelerate these advancements as better compression means more can be stored. If it winds up in HTML spec and Photoshop, it may "happen". If it steps on someone's established toes, no way. We've all seen this movie before, haven't we? It's not a different format, it's just optimizing the jpeg to a smaller file size. It takes over a minute on my machine to process one 2048x1024 file, which is an i7-6700 3.4ghz with 16gb ram (windows 7). Yeah the speed is a killer. If you're building a photography portfolio website which doesn't update that often I'd definitely use it. For daily use, sadly not in its current state..
Current JPG compression is more than good enough to make it almost impossible to tell the difference from an uncompressed image. The only relevant thing that harms JPGs **from all camera makers** is the use of noise reduction and sharpening that apparently can never truly be disabled. In a nutshell, in-camera JPGs look like crap compared to a converted RAW from say ACR/LR, and there is absolutely no reason why it needs to be that way. Why the camera manufacturers keep churning out such horrible JPGs is mind boggling. 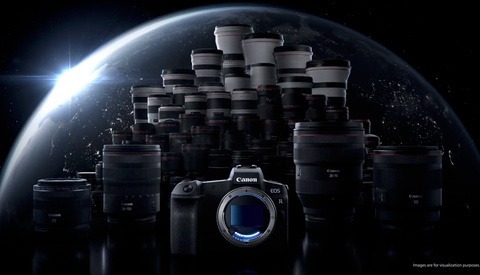 Take for example those from Canon. Detail is absolutely obliterated. Prints from a 110 film camera have more character. how is this different from JPEGmini? It produces a smaller file, but takes much longer, like 3 seconds for JPGmini versus 75 seconds with Guetzli. I've been using JPEGmini for a while, and it reduces the size of files between 30% and 80% at ridiculous speeds. Even panoramas from my D800 get crunched down to size at full resolution (2-3 shots, it won't do over 60mb), so while 35% is nice, the speed and compression difference means this won't be working into my workflow anytime soon. If 35% reduction gives you "huge implications" then try 60-80%. Any reductions has huge implications for the volumes I work at. I think JpegMini is still the company to beat. Yes its not free but the extra time, electricity, and hardware you're going to need to make google work has easily paid for itself in no time. Try it out and see for yourself if Guetzli is good for you. Free while in the beta phase! you can test google guetzli online. http://guetzli.montafon.info/ on this website you can compare the quality of the old and new Image.